Rwanda, home to the endangered Mountain Gorillas is a small landlocked country, it borders on Uganda in the north, on Tanzania in the east, on Burundi in the south and on Congo in the west. Kigali is the capital of Rwanda. The country is dominated by a central plateau made up of steep mountains and deep valleys and has therefore received his subtitle “Land of thousand hills”. Rwanda Mountain gorillas are more prominent in high altitude areas and at times this becomes difficult for some gorilla safaris in the gorilla zones. To achieve enough enjoyment, you should pace yourself, walk slowly and drink plenty of water to endure this difficulty. 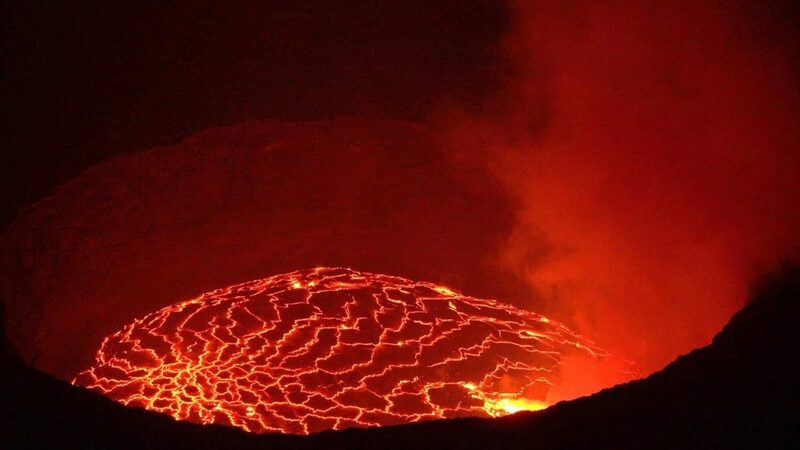 Virunga volcanoes in the country are the major habitat for these rare mountain gorillas. The undulating slopes create an ideal setting for the best exciting wildlife experience ever in Africa. It is an awesome moment in Rwanda whenever you come close to a group of gorillas munching bamboo in their unhampered natural habitat, led by a silverback approximately thrice the size bulkier than an average man. The presence of the Gorillas in the Virungas is largely attributed to the late Dian Fossy who shot a documentary entitled, “Gorillas in the mist”, set in Pac Des Volcans. Unfortunately, she died shortly after much of her research had been done and was buried at the Karaoke at her research center in the Virungas. The critics and the general public concluded that, “Gorillas in the Mist” served to raise international awareness of the plight of the mountain gorillas. 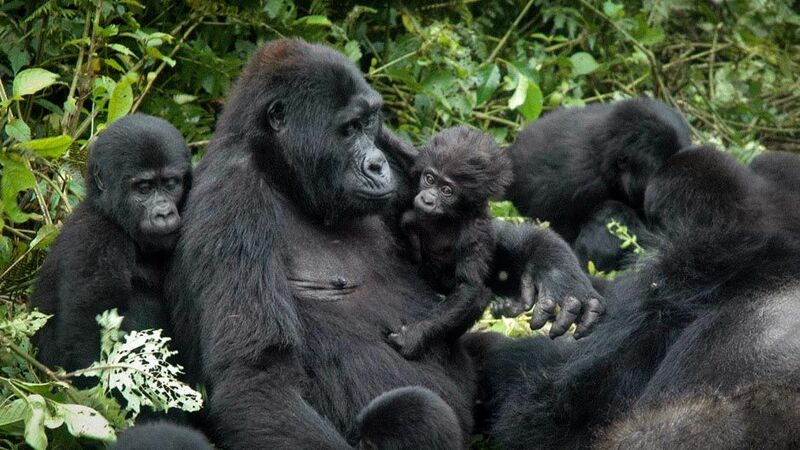 Gorilla population has increased from 250 in 1970’s to about 400 in 2001, where almost half of the world’s mountains Gorillas are residents in the virunga. There are four groups of habituation gorillas in sizes of 7 of 250 individuals which can be visited by up to 32 tourists daily. Rwanda gorilla tours entail anything from a 1 to 4-hour trek through the forest, conducted by expert gorilla trackers who have spent their entire lives living in or close to the forest. Keep the voice low when you come closer to the gorillas. If a gorilla charges at you, do not panic, stand motionless, look away from the gorilla and follow your guide’s directions. To regulate the possible transmission of diseases, tourists advised to maintain a distance of 7m (about 22 feet) from the gorillas. This is for the good of your health and animals. Littering the park is strictly prohibited. Speedy and noisy movements that may frighten the gorillas are prohibited.